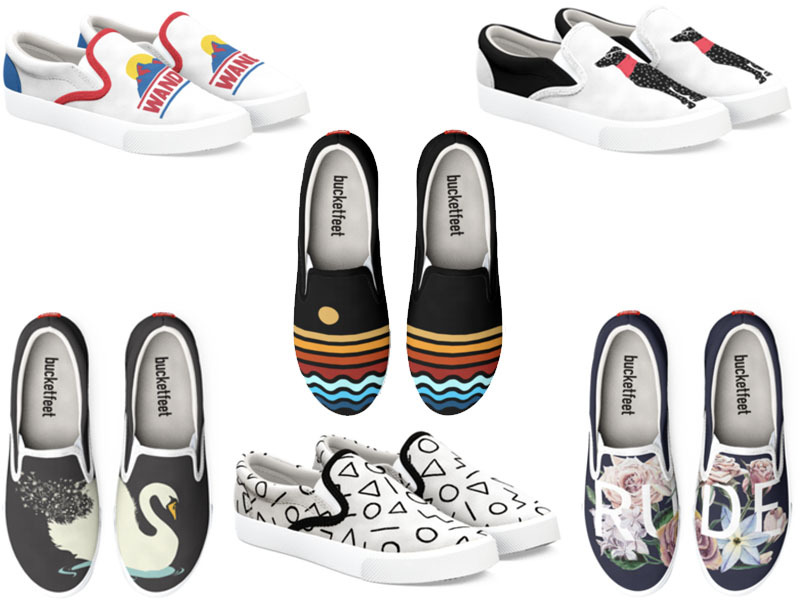 Bucketfeet slip-ons have slipped into Artist Shops! These super stylish, super comfy slip-ons are a game-changing product that will kick your Shop up to the next level. 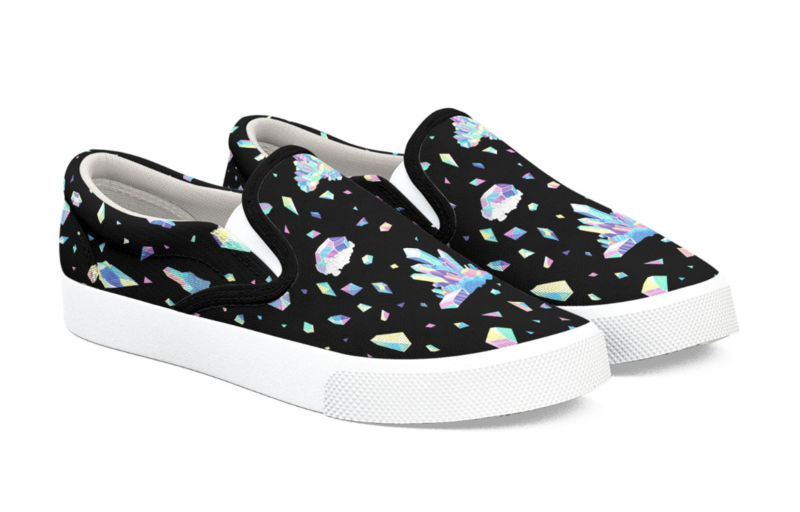 Since Bucketfeet became a part of Threadless, we’ve been eager to add slip-ons to the Artist Shop product offering lineup, and we know you have been too. Get to know this exciting new canvas, then start adding them to your product lineup! Just a few of the crazy pattern, design, and color variations you can create with your designs on Bucketfeet! 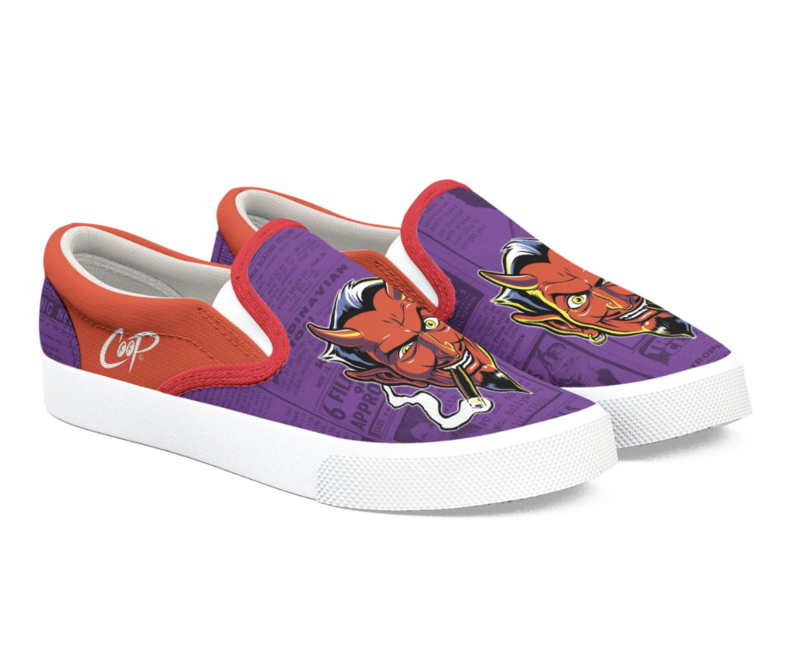 82% polyester, 18% cotton material blend: this fabric blend makes these slip-ons flexible and comfortable while still durable & reliably constructed. A classic slip-on silhouette that customers will love. Comfort bubbles: The inside of the shoe has a removable in-sole fitted with cushion & comfort bubbles which, yes, are as comfortable as they sound. Did we mention eight separate printable areas per pair? 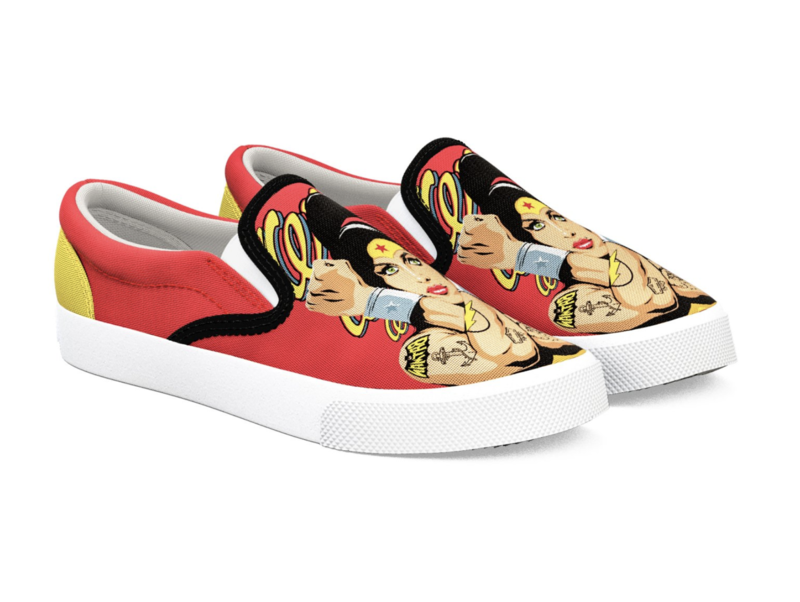 Sizes: Women’s Bucketfeet are offered in sizes 5-12, Men’s are offered in sizes 7-13. Bucketfeet are printed in sections then put together, which is why there are so many separate, printable areas to feature your art! But it also means there’s a very specific process for setting up your Bucketfeet shoes when you start adding them to your Shop. Use this handy guide to help you set up your Bucketfeet! Shoes may have just kicked off in all Artist Shops, but there are already a few amazing uses of this new canvas to look at! 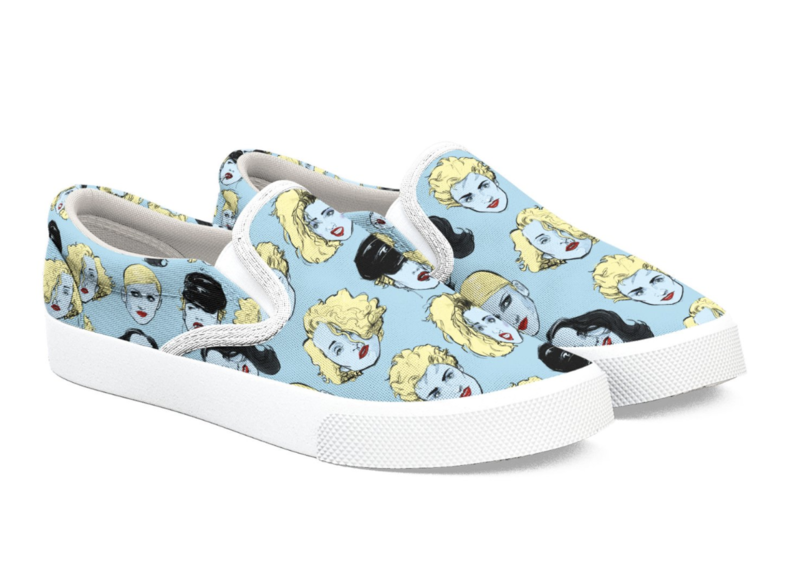 Check out a few of the slip-ons already live in Artist Shops to get inspired! Add Shoes to Your Shop!